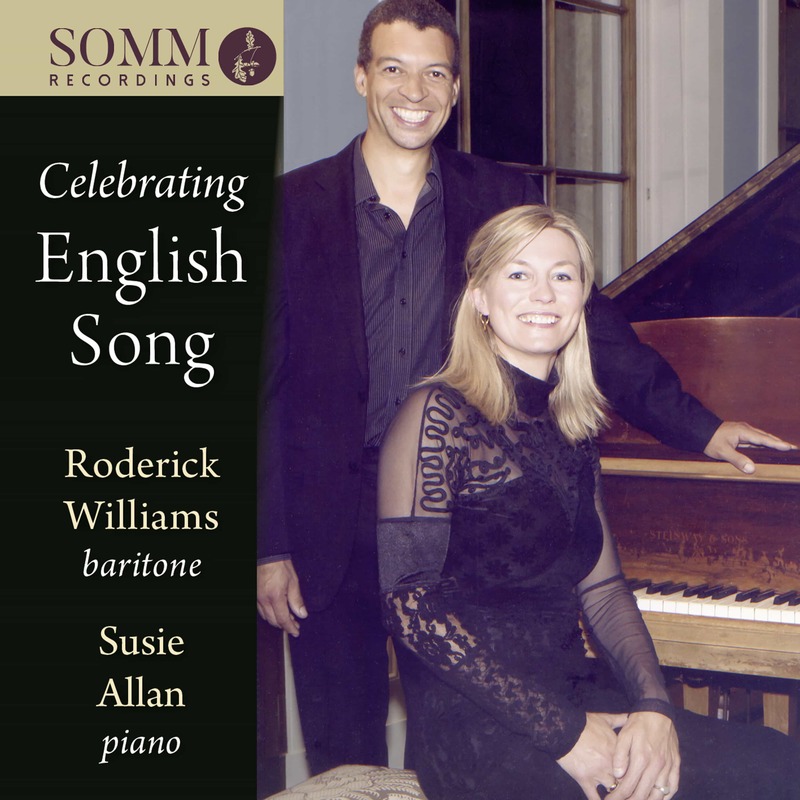 This wonderful Celebration of English Song was recorded especially for SOMM by baritone Roderick Williams deliciously partnered here by Susie Allan in a collection to gladden the hearts of all lovers of English music. This splendidly wide-ranging collection features two well-loved song cycles, Butterworth's Six Songs from A Shropshire Lad and Finzi's Let us Garlands bring. It also includes some of the best-known English songs of the periods before and after World War II – Ireland's world-famous Sea Feverand Great Things and The Kiss and Flying Crooked, from Ian Venables – now widely regarded as the finest living English composer of art songs and a true successor to Benjamin Britten, represented here by two irresistible settings of English folk-songs, The Salley Gardens and The Ploughboy. Also included are songs by Quilter, Gurney, Warlock and E.J. Moeran. SOMM is grateful to Jennie McGregor-Smith, the founder and driving force behind Celebrating English Song, the famous song series which took place at Tardebigge, Bromsgrove each summer for many years and which played an invaluable role in popularising English song. Sadly, the series closed down last June with a last recital given to a standing ovation by Roderick and Susie. The CD duplicates exactly that last programme of Roddy and Susie’s Favourite Songs. It also pays a poignant tribute to some of our greatest composers of English art-song.